Stainless Steel Tool Boxes Introduced - Sauber Mfg. 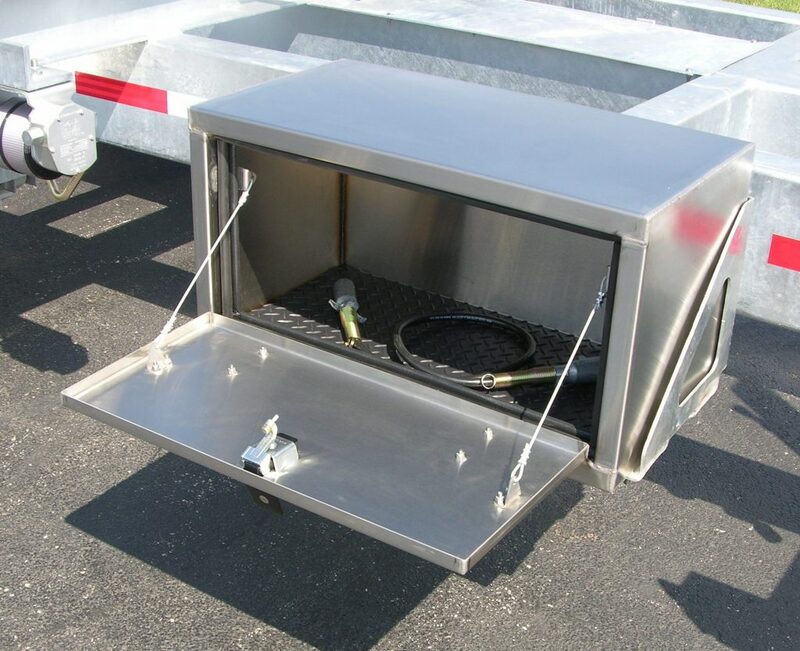 Co.
We are pleased to offer a premium line of custom stainless steel tool boxes with an outstanding feature set as a new standard feature on our trailers. Crafted from 14 Gauge Stainless Steel, our heavy duty boxes are an appropriate extension of the long life materials we use in building equipment that lasts. Check them out here.